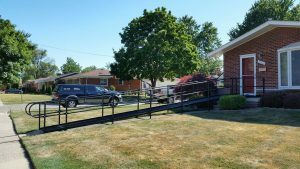 If you are in need of Macomb County custom wheelchair ramps, please contact Barrier Free Plus at (586) 598-2600 for more information. You may also click here to learn more about our Macomb County custom wheelchair ramps. For Macomb County custom wheelchair ramps, please call Barrier Free Plus at (586) 598-2600 for a free estimate.